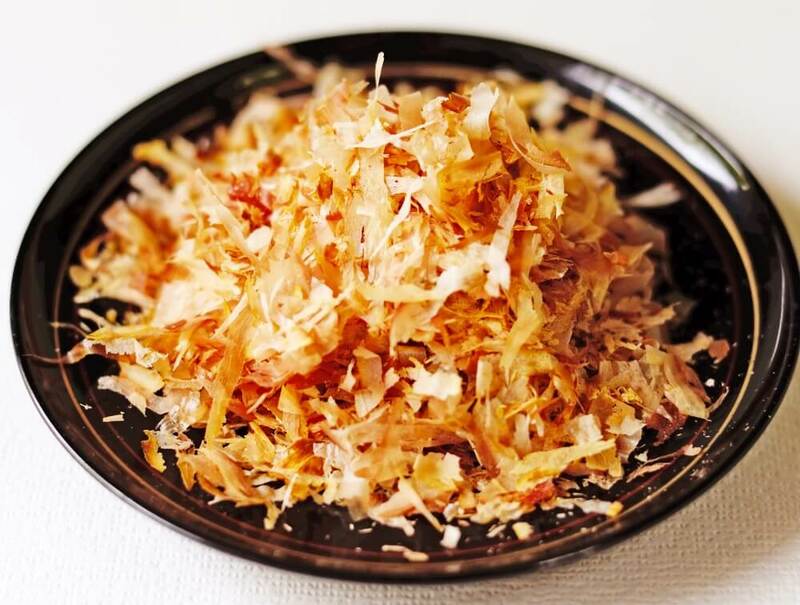 Dashi and Bonito flakes are born from Katsuobushi an essential ingredient used to create the infamous umami flavor in much of Japanese cuisine. Have you heard of dashi? Or Bonito flakes? Both of these are born from Katsuobushi an essential ingredient used to create the infamous umami flavor in much of Japanese cuisine. Katsuobushi is dried and fermented skipjack tuna usually shaved into flakes. Like so many things in Japan, katsuobushi is deeply rooted in history, culture, and tradition. Katsuobushi is boiled in water with kelp and often shitake mushrooms to create dashi, a broth used to make traditional dishes such as, miso soup, soba broth, shabu-shabu, and oden. Many vegetable dishes are often ohitashi, steeped in dashi as well. Pretty much any recipe that calls for a liquid, dashi is used. 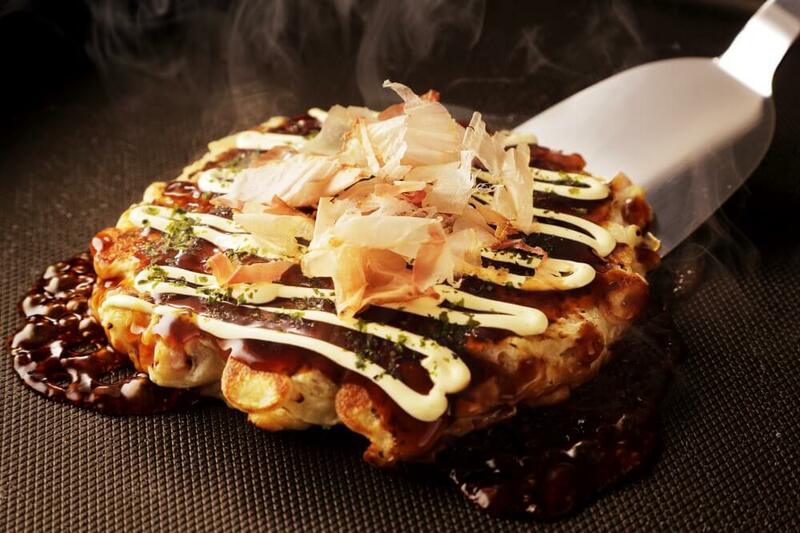 Katsuobushi flakes are also the dancing toping on favorite dishes like takoyaki and okonomiyaki! When the steam hits the flakes they seem like they are alive! These flakes are often added to tofu and vegetable dishes as a flavorful garnish. 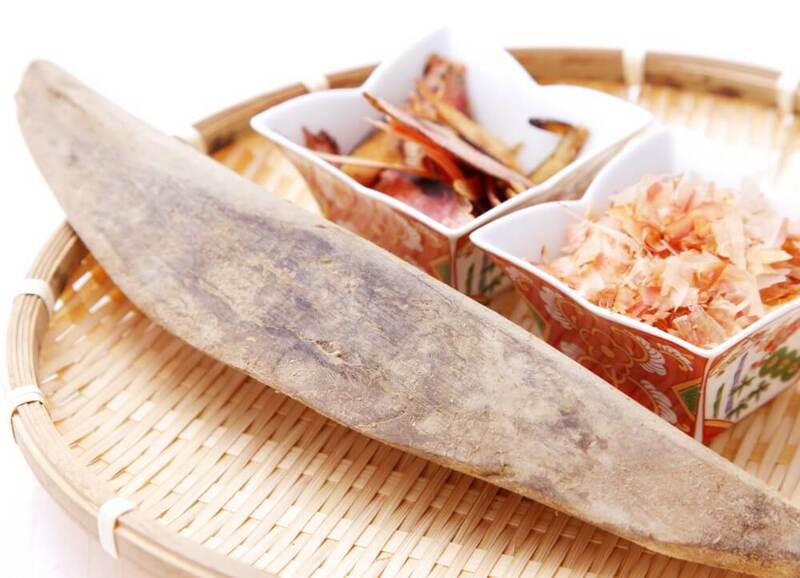 The use of katsuobushi in Japan dates back to the oldest writings where it is called katauo. One of the legends about the origins of katsuobushi explains how one part of it’s production came to be. The story goes that a katsuobushi dealer found some arabushi (smoked dried skipjack tuna, one kind of katsuobushi) growing mold in his warehouse and did not want to throw it away. He tried it and discovered that the mold only intensified its flavor! This type of katsuobushi was first produced in the town of Makurazaki in 1700s. This town in southern Satsuma Hanto, Japan is still producing katsuobushi with the traditional methods. The manual process requires knowledge of sophisticated fish cutting skills and has been kept alive by dedicated artisans. How is this done? Let’s take a look at some key elements in the traditional production of the highest quality katsuobushi, called honkarebushi. First is the cutting of the skipjack tuna. This is a special skill called Satsuma-giri that can only be done by hand and requires a specific kind of knife called a mioroshi-hocho. Using this technique ensures that the flesh is completely removed from bone and skin. The next step is to boil the fish in 90 °C water for one or two hours. This sterilizes the fillets and coagulates the protein preventing the inosinic acid, which contributes to the flavor of katsuobushi, from breaking down during the smoking process. The fish are then removed and placed in a chamber called a kyuzoko for two or three weeks. This smoking process dehydrates the fish and must be monitored closely day and night. The smoked is made from local hardwoods such as, sakura (cherry blossom) and oak. At this point you have arabushi, the lowest grade of katsuobushi. The most unique and signature part of the process is next! Step three. Mold the fish! Mold is applied and the fish is dried in the sun over and over for up to 6 months. This creates the treasured umami flavor. The water content is reduced drastically, about 20 percent during this process so the high quality katsuobushi, aka, honkarebushi is very hard and resembles a red translucent jewel when cut. This unique manual process is not only traditional and historical but it provides reusable products to the surrounding community as well. The ash is used as a fertilizer, the bones are used to extract DHA for health supplements, and other remains are used as fish bait. It is also rich in protein, amino acids, B12 and other essential vitamins! Unfortunately, quick chemical alternatives are slowly replacing the healthy yet slower from scratch version of the seasoning. In my opinion, nothing compares to the natural umami taste of dashi made with fresh katsuobushi! Now that you know how it is made and how it is used, here is where you can get some really delicious, healthy, hand crafted katsuobushi to make your soup stock with and to add to your tofu and rice. No need for salt! 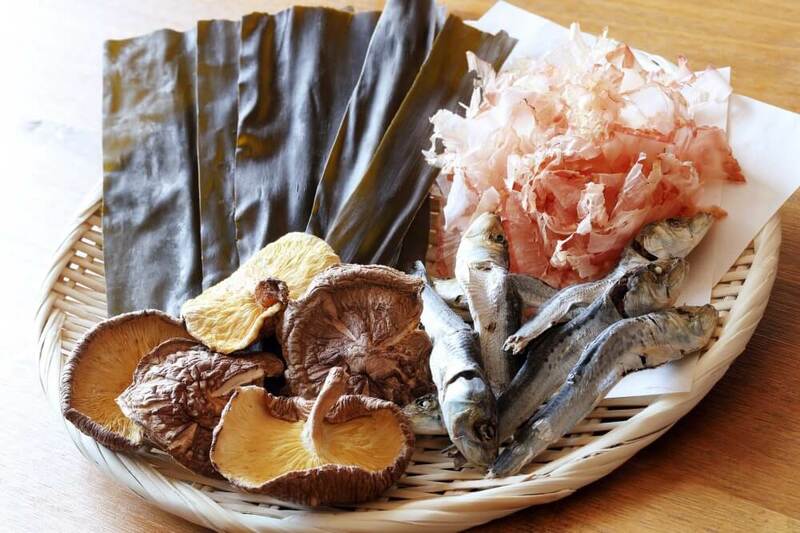 Take a visit to Makurazaki in Kagoshima prefecture, Tsukiji market in Tokyo or just visit any local market in Japan! You can even get a block of it and shave it yourself. You can find out more about the making process, taste freshly shaved katsuo bushi, and Japanese dashi (fish stock) on our Market Tours, and on our Flavors of Japan Tour!